Homes built haphazardly among the pines, no evacuation plan, poorly organised emergency services hit hard by austerity: the deadly wildfires around Athens this week may have shocked Greece but few environment experts are surprised. 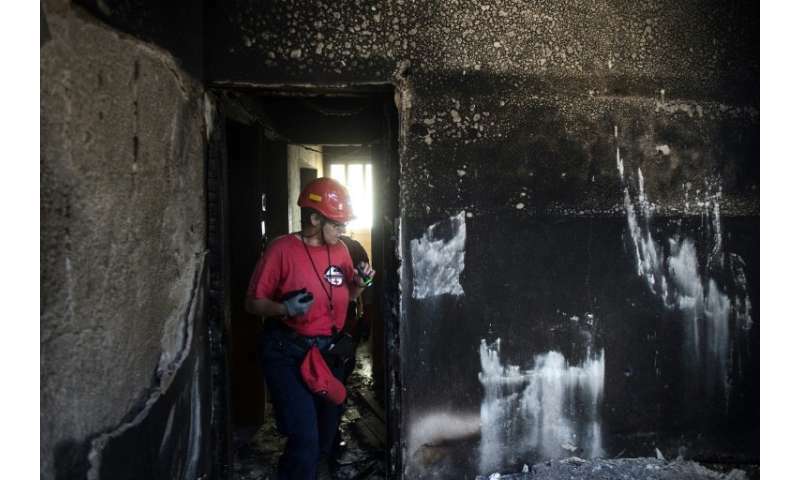 At least 79 people perished in the infernos that broke out on Monday evening, and questions are being asked of the government of Prime Minister Alexis Tsipras over how it could let the tragedy occur. For forestry expert Nikos Bokaris, the region of Mati on Greece's Attic coast where one of the blazes began had all the ingredients for a disaster of this scale. He said the congested nature of buildings set among pine trees, along with poor access to some properties, made a devastating forest fire nearly inevitable. "The pines were old, very tall and wide, all the necessary fuel for the flames to swell and spread. 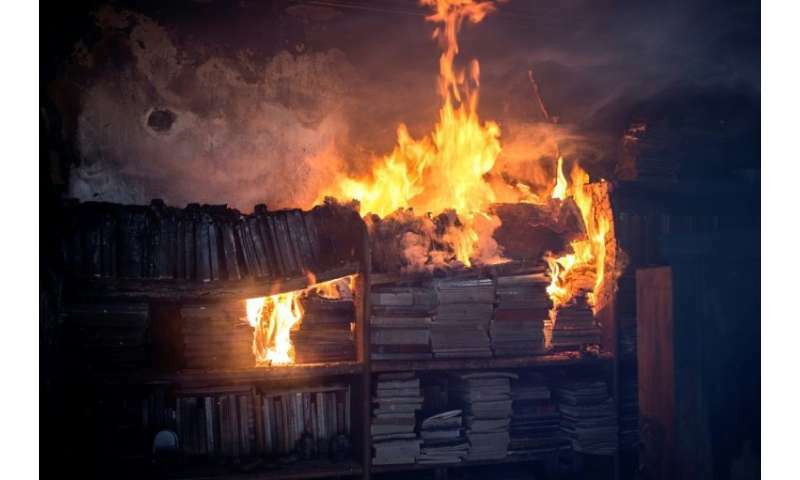 That creates a huge thermal mass," Bokaris told AFP. 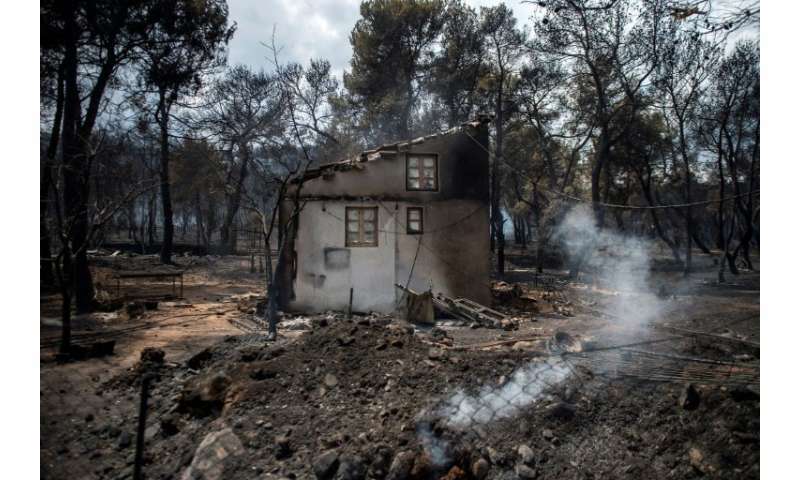 Greece has been experiencing a hot summer, and wind gusts of up to 100 kilometres-per-hour helped the fire swarm through the bone-dry forest at devastating speed. Tsipras said the weather conditions had worsened the blaze, something which geographer and natural disaster expert Kostis Kalambokidis tentatively agreed with. "We know full well that climate change is creating more and more extreme weather conditions," he said. But weather, it bears pointing out, can be forecast. "We see the same thing in California," said Kalambokidis. "Even in countries with huge means to fight against fires, the threat posed by creating urban areas in the middle of the forest is enormous." "Prevention," according to environment researcher Christina Theohari. "We're tired of saying it, of repeating it and seeing nothing change." She said basic planning such as a well-advertised evacuation plan would have minimised the carnage at Mati. Several of those who perished were caught in traffic jams as terrified residents and holidaymakers tried to flee the flames. Other factors played a part: witnesses spoke of out-of-service fire hydrants, overgrown gardens and courtyards as well as untrimmed trees touching rooftops all helped the fire spread. Bokaris said that austerity measures imposed after the 2010 Greek debt crisis, which nearly toppled the economy, led to the neglect of the country's emergency services. "The fire didn't wait for the crisis to start burning, but certainly a drying up of public service funding didn't help," he said. Official statistics bear this out: Greece's fire service had an annual budget of 354 million euros ($414 million) last year, compared with 452 million in 2009. Poor public awareness of the fire risk and a lack of local training likely compounded the damage in Mati—one survivor of the fire said he "never imagined" that the flames could reach the village. For Kostas Synolaki, a specialist in natural disasters, "the alert (to evacuate) should have been given from the moment the fire started" to allow firefighters to concentrate efforts. This would have allowed residents to gain safe distance while freeing up the road network for firefighting teams. Synolaki said technology could help, especially the study of computer models that monitor and predict how fires may spread. After devastating blazes killed 77 people on the southern island of Evia in 2007, Greece embarked on updating its firefighting response, which was judged to be too reliant on aerial relief to the detriment of ground responders. "Ultimately, I don't know who did or didn't do what, but judging by the result, it didn't work," said Bokaris.